Franki & Bee handcrafted skin food loves your skin. Young, old, dry, oily, damaged or super healthy; whatever your skin condition. Franki & Bee, seals, heals, protects, nourishes and rejuvenates the skin. 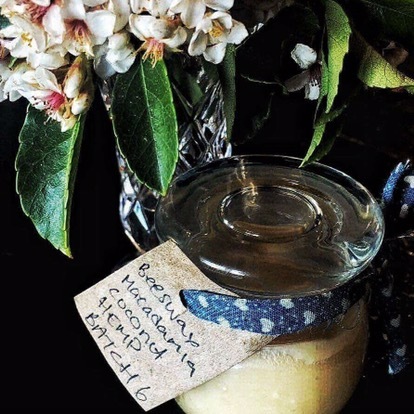 Made from Australian Northern Rivers Beeswax, Australian Macadamia Nut, Organic, Cold Pressed Coconut and Hemp Oil. That’s it! We like to know where things come from and keep things simple. Each ingredient is selected to support our food systems, You and the Planet. We want to make big change in the world, you are that change! Be a part of the hive. What is in your “natural” skin care? To find and grow the most ethical supply chains; building, designing, encouraging and inspiring new food systems, that benefit the Planet and your skin. Your skin is your biggest organ, everyday we are exposed to a myriad of chemicals and toxins, some of them are likely to be self administered, what is in your “natural” skin care? Bees are industrious little creatures. They are the love that makes the world go around, pollinating and sprouting new life wherever they go, without pollinating insects there is no food. The Bees live from Lawrence to Yamba, happily in hives as they would be in trees, calm and busy, as any bee would bee. 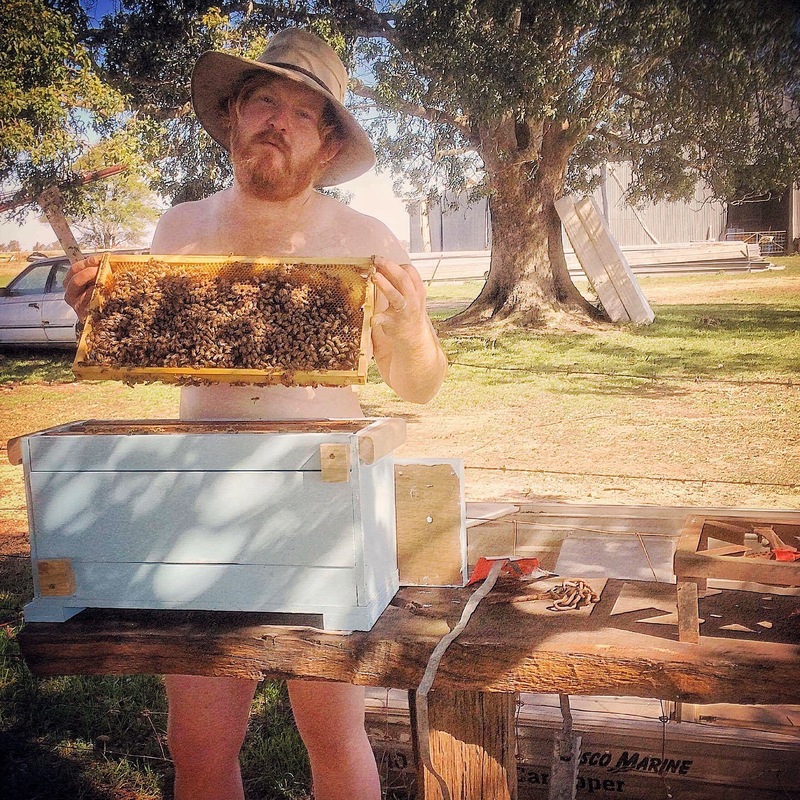 Meet Mitch, the Bee lover, from The Raw Bee Co. 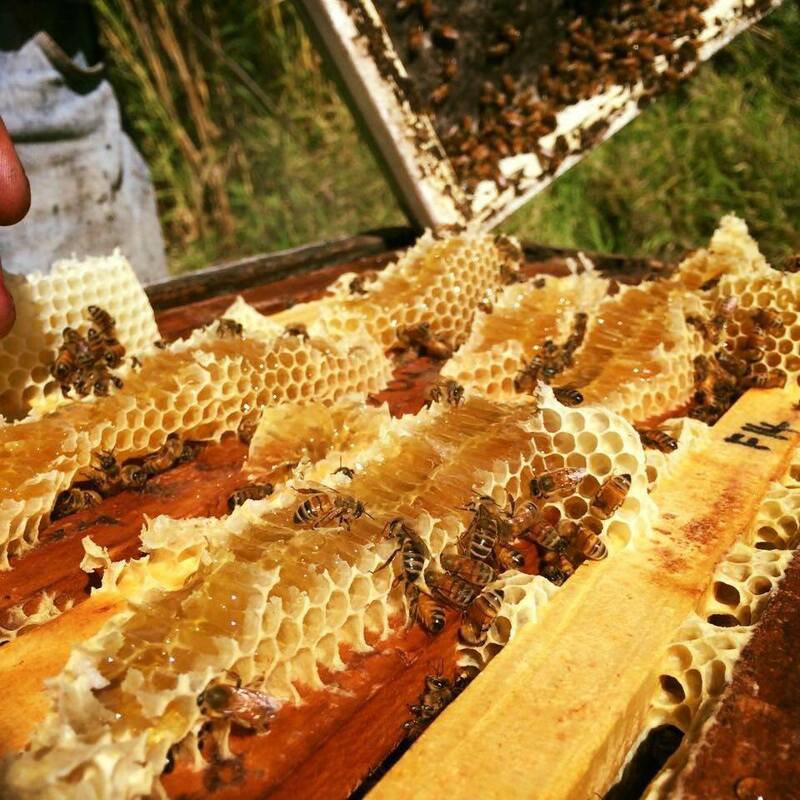 He provides the beeswax for Franki & Bee, he uses no suits, as the bees are calm and trusting from good care. When you enter the bee's space calmly, they feel no reason to protect themselves against you. He lovingly collects the honey, the Bees have a variety of pollen to choose from, creating the natural sweet fragrance of the beeswax. Finding a product like this has been skin transforming! As soon as I started using this product I was amazed, my skin was softer overnight. The texture is like whipped butter and melts just the same. The smell is a heavenly mix of nature and bees with a hint of coconut and nutty macadamia. I thank Gina for such an amazing gift to give my friends and family and for the amazing product she has produced. All without the added nasties you will find in the majority of other beauty products. I use this product for everything, from my head to my toes. Everyone has been amazed at the quality and Benefits the cream has had for them. In particular my best friend who surfers from eczema on his hands. My partner also loves to use this as a beard tamer and after shaving. No longer do I need to search for something to make my skin glow and be the best it can be. This is the one for me! I decided to try out Gina’s Creme because I wanted a moisturiser that was made ethically and from all natural products with a emphasis on fewer ingredients and higher potency. I noticed it contains fewer ingredients than other skin care products, which means fewer chances of side effects. I was hoping to see an increase in skin firmness, reduction of redness as well as an overall “glow”. I found that Gina’s creme delivered all of this and more! Not only was my skin firmer and glowing my redness had decreased significantly as well. It moisturises my skin deeply and contributes to maintaining a healthy glow. I have also been using Gina’s Creme as an after sun treatment as it protects the skin, cures the damage and nourishes it deeply. I found that Gina’s combination of beeswax, protecting my skin from issues like acne, dryness, eczema and also seems to slow down the formation of wrinkles due to excessive exposure to UV rays and sunlight, macadamia and hemp oil are my skin saviours! It is an absolute pleasure to write a testimonial for Gina’s Creme, not only is it beautifully made, ethical and environmentally conscious, it also leaves me feeling gorgeous on the inside and the outside!